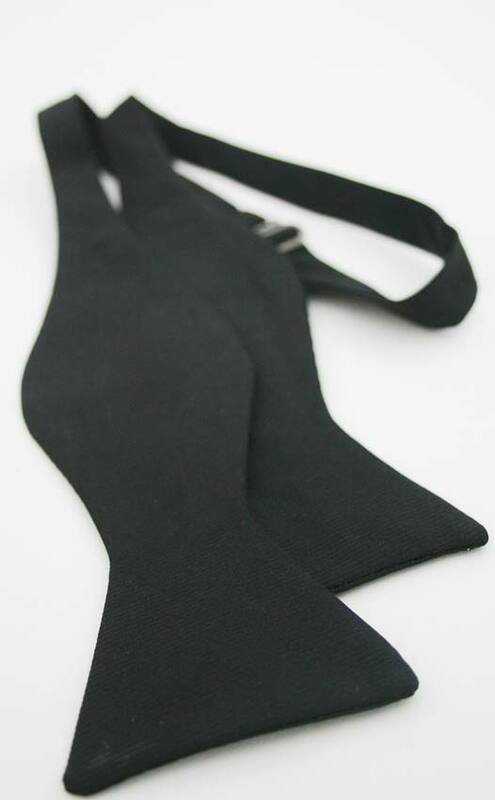 This classic black bow tie is the ideal finishing touch for a formal outfit. Wear with a Prince Charlie jacket or alternative evening wear. The bow tie has a subtle twill design and has an adjustable strap. It is self-tie for those who know exactly how they want their bow tie to look. Perfect teamed with one of our plain or pleated front wing collar shirts. Essential Scotweb Tartan Self Bow Tie £28.00 For the gentleman of refined tastes, this self-tie bow tie is the obvious choice of formal accessory. Silk Tartan Self Bow Tie £35.00 Made from silk, this is a top quality bow tie that will add some Scottish glamour to your outfit. Luxury Tartan Self Bow Tie from £35.00 Pick your tartan for a personalised tartan bow tie that will add Scottish flair to any formal outfit.